Why is the online chat help telling me to try during opening hours, if its only 7:35pm london? 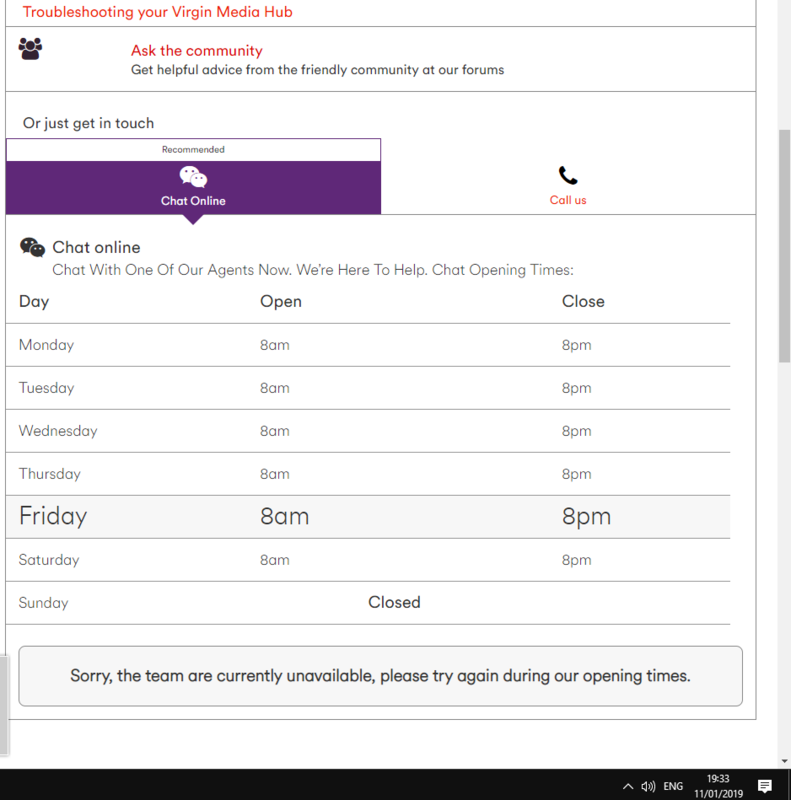 Re: Why is the online chat help telling me to try during opening hours, if its only 7:35pm london? Thanks for your post and apologies to hear this. It's likely the team were unavailable and this is why you were getting the message however the working can be mis-interpreted. I have forwarded the wording over to the relevant teams as feedback.